Semmelweis University ranked 101–200 in the first ever THE University Impact Rankings 2019, which recognizes universities across the world for their social and economic impact. Only two Hungarian higher education institutions made the list, which is based on the United Nations’ Sustainable Development Goals and covers more than 450 universities from 76 countries. Semmelweis University ranked among the top 200 universities in the world on Times Higher Education’s new, first-ever rankings based on the social and economic impact of universities. The rankings list is based on the United Nations’ Sustainable Development Goals (SDGs). The UN named a total of 17 such SDGs in 2015, of which Semmelweis University’s performance was the best in the following three goals: Good Health and Wellbeing; Industry, Innovation and Infrastructure; and Decent Work and Economic Growth. 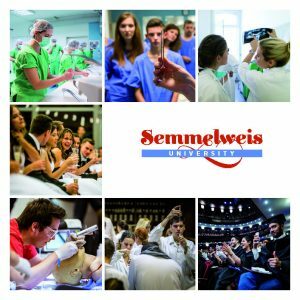 Semmelweis University ranked 101–200 overall on the list, which includes more than 450 universities from 76 countries. The other Hungarian institution on the list was the University of Szeged, which also ranked 101–200 overall. The top three positions on the list were held by a university from New Zealand and two from Canada.